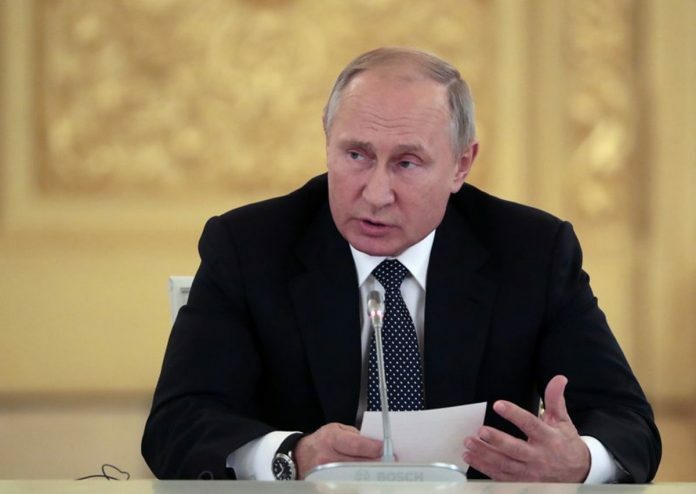 Russian President Vladimir Putin warned Wednesday that if the United States deploys intermediate-range missiles in Europe, Russia will have to target the nations that would host them. The stern statement follows U.S. President Donald Trump’s announcement over the weekend that he intends to opt out of a 1987 nuclear arms control pact over alleged Russian violations. Putin said he hoped the United States wouldn’t follow up by positioning intermediate-range missiles in Europe. Such a move would be a repeat of a Cold War showdown in the 1980s, when the U.S. and the Soviet Union both deployed intermediate-range missiles on the continent, the Russian leader said. NATO Secretary General Jens Stoltenberg said Wednesday that the Western military alliance’s members blame Russia for developing a new missile in violation of the Intermediate-Range Nuclear Forces (INF) Treaty, but he doesn’t expect them to beef up nuclear arsenals in Europe in response. “I don’t foresee that allies will deploy more nuclear weapons in Europe as a response to the new Russian missile,” Stoltenberg told reporters at NATO headquarters in Brussels. Putin rejected Trump’s claim that Russia has breached the INF treaty, alleging it was the United States that violated the pact. He charged that U.S. missile defense facilities in Romania hold intermediate-range cruise missiles with just a quick tweak in computer software. The Russian leader added that he hoped to discuss the issue with Trump in Paris when they both attend Nov. 11 events marking 100 years since Armistice Day. The pact was lauded as a major safeguard for global security since they eliminated shorter-range missiles that take only a few minutes to reach their targets. Trump said he planned to pull the U.S. out of the treaty due to the alleged Russia violations and also because China, which wasn’t part of the pact, has intermediate-range missile capability. Trump’s national security adviser, John Bolton, spent two days in Moscow this week to discuss the move with Putin and his top lieutenants. Bolton said Washington hasn’t served a formal withdrawal notice, but he voiced strong skepticism the treaty could be salvaged.